According to a report in the Los Angeles Times, multiple people have been shot outside a polling station in Azusa, California. One person was killed and "at least three others were wounded," according to the Los Angeles Times, which noted the shooting occurred around 2 p.m. PST. The Los Angeles County Sheriff's Department responded to the shooting to help the Azusa Police Department. Jerry Wilson, an officer in the Azusa Police Department, said “This is a very volatile and critical situation.” The shooter is still active, according to multiple reports at the time of writing. According to a report in New York magazine, cops have surrounded the suspect. When officers first approached the suspect, he was "armed with a rifle" and "fired on them at least 20 times." 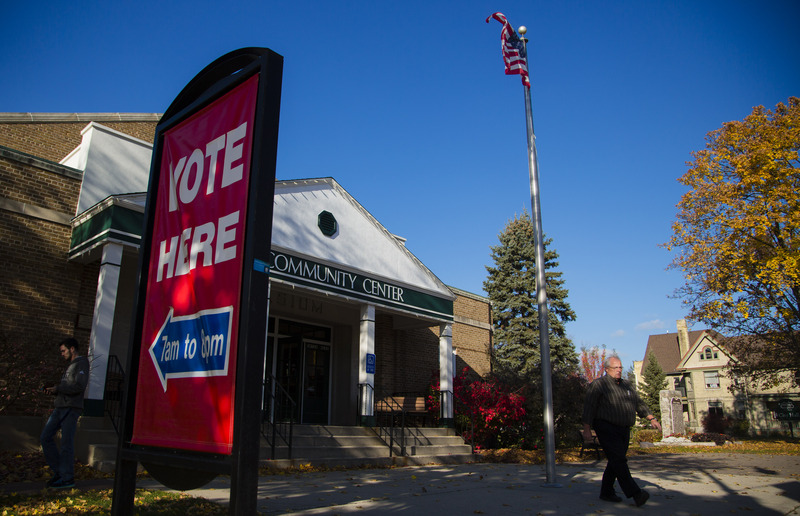 However, no shots were fired within the polling place itself, according to the New York report. Still, at the time of writing, New York magazine noted around 30 people within the polling station in Memorial Park North Recreation Center were on lockdown. According to Wilson, the shooting occurred around Fourth Street and Orange Avenue, which the Los Angeles Times described as a "residential neighborhood." Multiple schools in the area were put on lockdown following the shooting, including public school and a local daycare. Tara Finestone, who works with the Los Angeles affiliate of CBS, NCBS/KCAL, tweeted an image of the scene with the caption: "The circumstances of shooting in Azusa unclear- but reports indicate a nearby polling place is on lock down as well as school." She also said that according to the Los Angeles County Registrar, two polling stations had been placed on lockdown because of the shooting and that it's "unclear when voters will be let out/in." According to a report in USA Today, two people have been hospitalized from the shooting. It is not clear whether the shooting was related to the election.